Hello I'm Bernard Backaert and was born and bred in Kraainem, a village close to the capital Brussels in 1937. My early youth took place during the World War II and after High School I studied Electronics at the University and graduated as Engineer. During those period I was been already interested in Amateur Radio. Lut and Inez are my two daughters, both married and after all those years I'm already four times grandfather. By the way, Guy, the husband of Inez is also a ham, ON5GF and his passion of contests is bringing us together many times. My professional career has been always in the Television Broadcast and for years I was running the company "REA Video Belgium" and later " ADVANCE Technology" as managing Director. Finally since 1 May 2002 I'm retired. I started contesting as a way to build up my country / band totals and ended up getting hooked on the competitive fun. Still these days after more than 40 years you can hear me regularly in major contests and chasing DXpetions. In 1990 I left the village where I was born and I'm now living in Boortmeerbeek, a rural village situated between the cities Leuven and Mechelen. 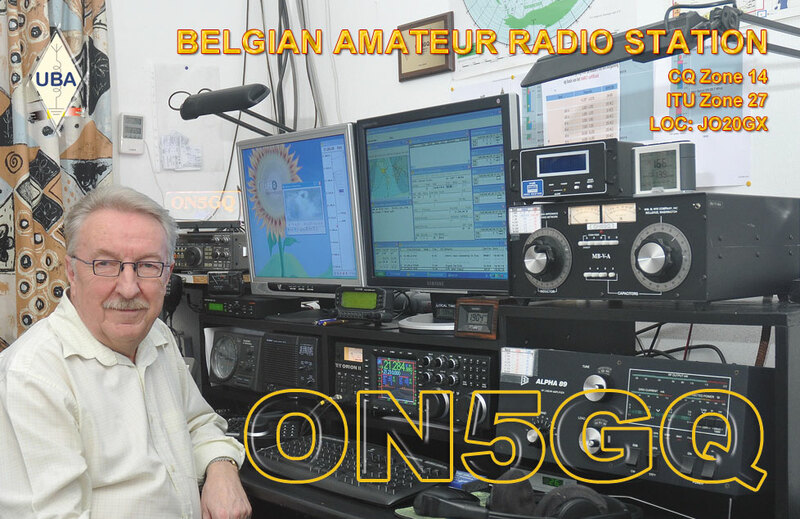 On my Web Site you can see pictures of my Shack and also the garden, showing the tower and some antennas. Nearly daily can find me somewhere on the band in SSB and if you are equipped with APRS, you can see exactly the location on the map and during the day follow my car when I'm on the road. Besides Ham radio I have two other hobbies, Photography and tropical fish. Now you know a little bit about me and really I am looking forward to hearing you in one of those crazy pileups and Contests.